The most exciting sporting event on the planet is almost here! 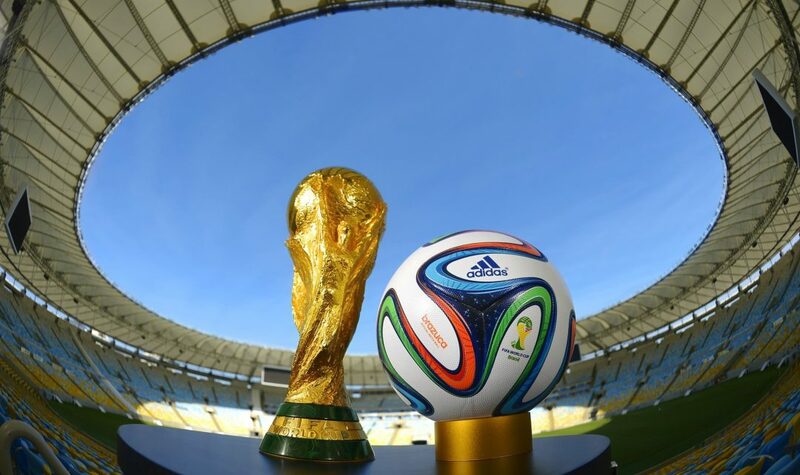 World Cup 2018 kicks off on June 14 in Russia. With a predicted global audience of 3.4 billion (that’s almost half the world’s population) no other tournament can capture the thrilling highs and heartbreaking lows of sport quite like the World Cup. To get you in the mood, we’ve put together a guide of the 32 teams competing for football’s biggest prize. The host nation will be hoping that the home advantage can take them far. Anything like their performance at Euro 2008, when they reached the semi-final, will be met with jubilation in Russia. Recent years have been tough for the Russian team, although with a youthful, new-look defense and some impressive attacking talent in their side, this tournament could see a return to form. The boss: Not afraid of taking risks and keen to modernize the Russian style, coach Stanislav Cherchesov has picked a fresh, young squad for this World Cup. The star player: At 32, goalkeeper Igor Akinfeev will be Russia’s most experienced player and the man between the sticks will be vital if Russia are to progress. With a side packed with young, talented but inexperienced players, Saudi Arabia have a chance to spring a surprise. However, with two coaches fired during World Cup qualification, the Green Eagles could well be lacking organization and preparation for a challenge that might prove to be too much. The boss: Argentine Juan Antonio Pizzi is the third coach to take the Saudi hot-seat in recent times. With little time to prepare, he’ll have to work magic to avoid the same fate as his predecessors. The star player: Mohammad Al-Sahlawi scored 16 goals in qualifying. The Saudis will be hoping he carries this form into the tournament. Their first World Cup in 28 years, Egypt will want to ensure their long-awaited comeback is a successful one. 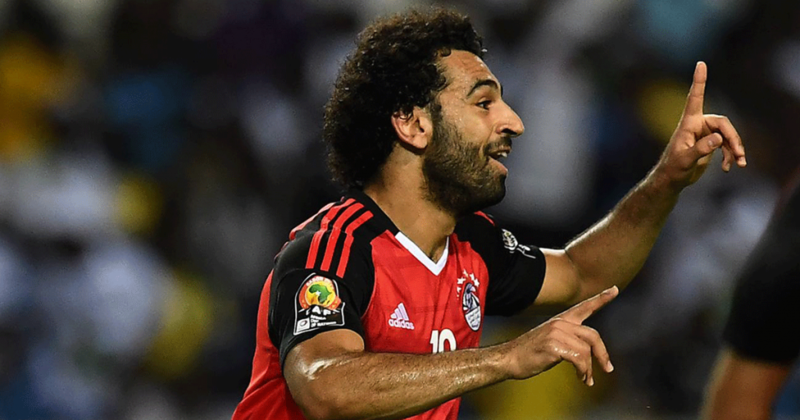 With one of the world’s best players in attack and a solid, balanced team focusing on a defense-first mentality, this Egyptian team will be hard to beat and will expect to advance to the knockout stages. The boss: Another Argentine manager, Héctor Cúper is a vastly experienced, inspirational manager who has given a modern twist to the old-fashioned Egyptian pyramid system, favoring a 4-2-3-1 formation that has energized the Egyptian team. The star player: Liverpool’s Mo Salah is the undisputed king of Egyptian football. With 43 goals for Liverpool this season and 5 goals for Egypt in qualifying, Salah has hit form at the right moment. However, a shoulder injury sustained in the Champions League final, when he was wrestled to the floor by Real Madrid’s Sergio Ramos, is a major cause for concern. The winners of the first-ever World Cup in 1930, Uruguay could be this year’s surprise success story. After a highly impressive qualifying campaign, in which they finished 2nd behind Brazil, Uruguay hope to go far and, maybe even win the tournament. With many talented attacking players and an always solid and dependable defense, Uruguay are certain to get past the group stage. After that… anything can happen. The boss: Óscar Tabárez has been Uruguay manager since 2006, building a defensive-minded side . This year, with the addition of young creative players to his squad, Tabárez will look to add flair to stability. The star player: The prolific Barcelona forward Luis Suárez, who sharpened his teeth at Ajax and Liverpool before terrorizing La Liga defenses, is one of the world’s finest strikers. On his day he can win a game single-handedly and if Uruguay are to go far he’ll need to be firing on all cylinders. After stunning hosts France to win Euro 2016, Portugal will be looking for more tournament success. With an experienced squad boosted by exciting new talent, such as Man City’s Bernardo Silva, Portugal should go far. And, of course, they have a certain ace up their sleeve. The boss: After taking over in 2014, Fernando Santos has made Portugal very hard to beat, leading them to surprise Euro 2016 glory. The star player: There can be only one. Undoubtedly one of the finest footballers of all time, Cristiano Ronaldo is perhaps playing in his final World Cup. Will this be the year he takes the tournament by storm? La Roja will be looking to put the disappointment of recent tournaments behind them and nothing less than bringing home the trophy will do this. 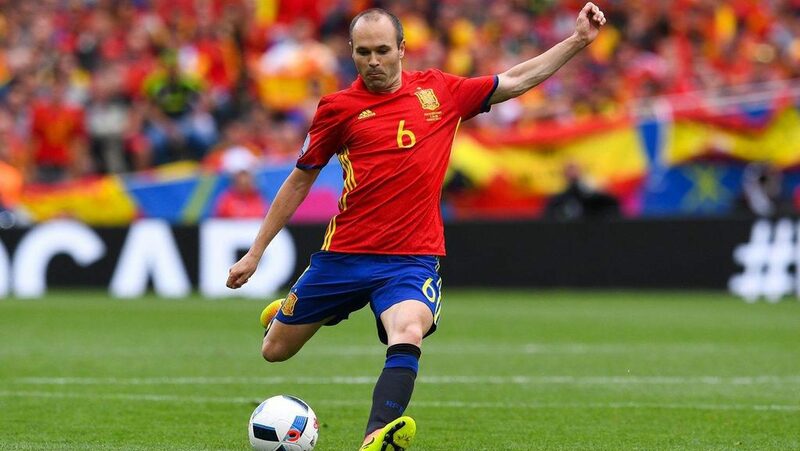 With an experienced squad – including Andres Iniesta, who will be playing in his final World Cup – and a renewed confidence, coach Julen Lopetegui is confident that Spain can triumph. The boss: Julen Lopetegui has reinvigorated the Spanish team since taking over in 2016 and is so far undefeated in 18 games. The star player: David Silva is the silky playmaker that will make things happen in a team full of world-class players. A fine blend of creativity and discipline, Morocco return to the World Cup after a 20-year absence. A qualifying campaign in which they didn’t concede a single goal demonstrates their defensive strength. This gives their many flair players the opportunity to express themselves in a system that is set up to exploit opponents on the counter-attack. The boss: French manager Herve Renard has a good track record of bringing an exciting style to African teams, having previously won the African Cup of Nations with the Ivory Coast and Zambia. The star player: Ajax attacking midfielder Hakim Ziyech is the main man in the Moroccan team, whose intelligence can unlock defenses. Unbeaten in 18 qualifying games to reach the World Cup, Iran will be hoping to improve on their last World Cup performance, when they failed to win a single game. A counter-attacking team with a lot of energy and determination, the Iranians will certainly have to work hard to qualify from a tough group. The boss: Former Real Madrid manager Carlos Queiroz has molded a counter-attacking team with plenty of character and heart. The star player: 23-year-old two-footed striker Sardar Azmoun, who plays club football for Russian side Rubin Kazan, has already scored 22 goals for Iran. Les Bleus came so close to winning Euro 2016, only to be denied by a spectacular late winner against Portugal. They possess, arguably, the best team of the tournament, but are often accused of being a ‘team of individuals’. If they play as a cohesive unit in this World Cup, it will be very hard to stop them lifting the trophy. The boss: Coach Didier Deschamps, a calm and steady midfield presence during his playing days, is tasked with bringing a group of incredibly talented players together and building a team sprit worthy of winning the World Cup. 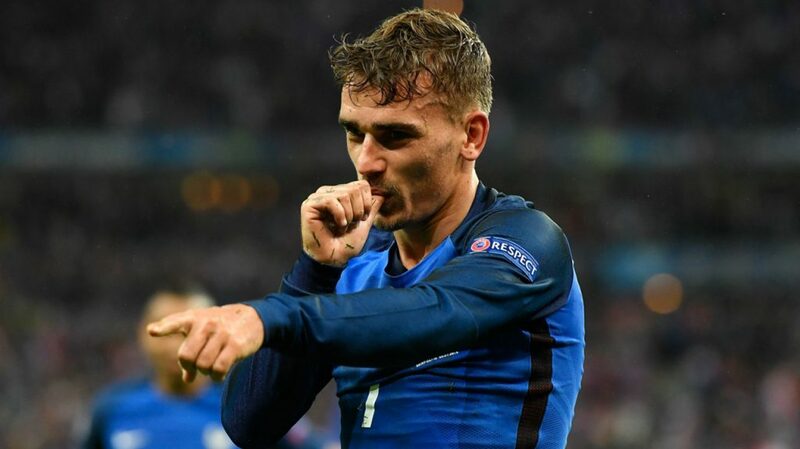 The star player: In a team full of stars, Antoine Griezmann shines brightest. Rumored to be heading to Barcelona from Atlético Madrid after the tournament, the playmaker scores as many goals as he creates and will strike fear into even the best defenses. Having qualified by the skin of their teeth, with a play-off win against Honduras last November, the Socceroos face a huge task of qualifying from a tough group, especially as their manager was only appointed earlier this year. A mix of veterans and inexperienced youngsters, Australia will hope determination and teamwork is enough to take them to the knockout stage. The boss: Dutchman Bert van Marwijk, who guided the Netherlands to the World Cup final in 2010, took over the Australian team at the beginning of the year. The star player: Midfielder Aaron Mooy plays in the English Premier League for Huddersfield and will be instrumental in driving the Australian team forward. With an impressive defensive qualifying record, conceding only seven goals in eight games, Peru surprised everyone by qualifying for their first World Cup in 36 years. The underdog position suits them and they will relish the opportunity to create a further surprise by qualifying for the knockout stage. The boss: Ricardo Gareca has returned the Peruvian national side to their roots, with a short passing, possession-based game complemented by discipline and commitment. The star player: Experienced forward Jefferson Farfán will be Peru’s biggest attacking threat. Unbeaten in 11 games, the Danes are a rapidly improving force in world football and will be a dangerous side in this World Cup. With a solid defense and a direct style of play, Denmark will be looking to pull off a giant-killing win or two and advance to the latter stages of the tournament. The boss: A veteran coach who has spent his entire career in Scandinavia, Age Hareide will look to build on the moment of Denmark’s 5-1 playoff demolition of Ireland. The star player: Tottenham’s Christian Eriksen is the classy, goal-scoring playmaker who will be key to Denmark’s World Cup campaign. For a team full of individual talent, Argentina are remarkably light on success. Finalists in 2014 (losing to Germany) they will look to discover some team spirit and solidarity to go with their undoubted technical ability. After scraping through qualification, morale might be low. But if they start well, there could be no stopping the Argentines. The boss: Jorge Sampaoli is tasked with improving Argentina’s defense, giving a solid base to a side full of creative attacking talent. The star player: Few would argue that Lionel Messi is the greatest footballer who ever lived, but those who do point to the fact that he’s never won a World Cup. This may well be his final chance to silence the doubters and prove once and for all that he is the undisputed best of all time. The smallest nation to ever play in a World Cup, with a population of just 330,000, Iceland have been drawn in a very tough group. But a good run in Euro 2016, in which they humiliated a lackluster England side to reach the quarter finals, will give them confidence going into the tournament. The boss: The part-time dentist will be hoping to see some pearly-white smiles back in Iceland after a stunning performance or two. The star player: Bearded captain Aron Gunnarsson embodies Iceland’s swashbuckling style, driving his team forward from midfield. A team packed full of talented players, Croatia often fail to fulfil their potential on the big stage. After a faltering qualification campaign, in which they sacked their coach with one game to go and qualified through the play-offs, Croatia will be hoping their golden generation will shine, in what may be the last World Cup for many of their big name players. The boss: Zlatko Dalić took control with one game remaining in the qualifiers and inspired his team to qualify. A tough coach who expects a lot of his players, Dalić will be looking to take Croatia to the latter stages of the tournament. The star player: Real Madrid’s Luka Modric is part of a star-studded midfield and will look to control games with his peerless passing and creativity. Power, pace and precision, Nigeria can beat any team on their day. Having qualified for five of the last six World Cups, they are used to the big stage and will be looking to cause an upset to the bigger teams. 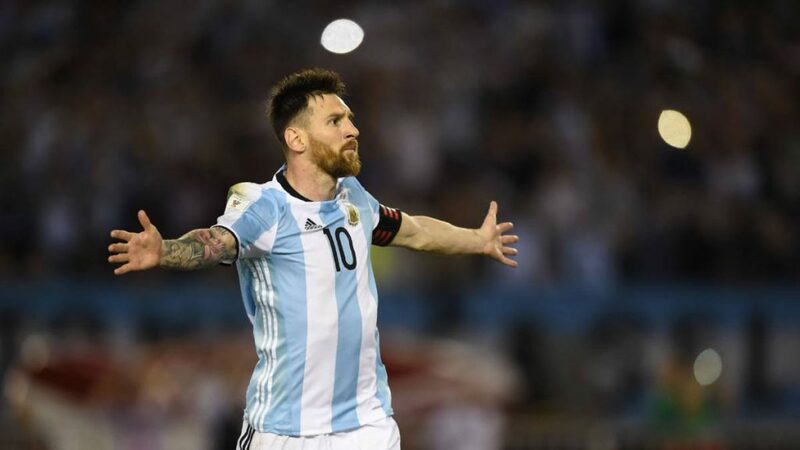 Group favorites Argentina know just how dangerous Nigeria can be – they lost 4-2 to them in a recent friendly. The boss: German coach Gernot Rohr has developed a ruthless counter-attacking style, complementing a solid defensive base with a youthful, adventurous attack. The star player: Nigeria captain John Obi Mikel brings experience and a calm presence to the midfield, allowing the younger players to express themselves. The last World Cup was one to forget for the Samba Boys. 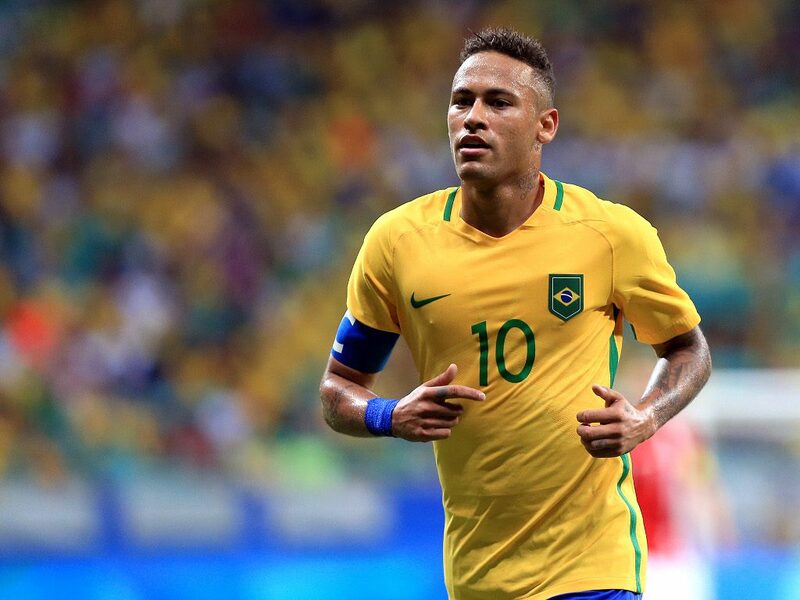 With the pain of the 7-1 humiliation against Germany still lingering, it’s vital that Brazil have a good tournament. This team is certainly more typically Brazilian than the 2014 side, who perhaps relied too heavily on talisman Neymar and, with 13 wins in 17 games, coach Tite will hope to go all the way. And to avoid Germany, obviously. The boss: Adenor Bacchi, otherwise known as Tite, has returned Brazil to its famed flair-based game, while working on the organizational side of their game that has been lacking in recent times. The star player: The most gifted Brazilian footballer of his generation, Neymar has a chance to make up for World Cup 2014, when he set the tournament alight before missing Brazil’s ill-fated semi-final through injury. A well-balanced team with a good work ethic, Switzerland have the experience and unity to get to the knockout stages. Questions remain, however, about whether the lack of a natural goal-scorer will prove to be their undoing. If their defense performs well and their attacking players play without fear, this could be an interesting tournament for the Swiss. The boss: After three years in charge, Bosnian Vladimir Petkovic has had time to get to know his players and has created a team spirit that will be crucial in this World Cup. The star player: With his tough tackling and probing passing, Arsenal’s Granit Xhaka is the engine of this Swiss side. A revelation in the last World Cup, Costa Rica will be looking for a repeat of their 2014 performance. Solid and hard-working with a star shot-stopper at its base, Costa Rica have the quality to spring another surprise and will relish the chance to cause an upset. The boss: Óscar Ramírez has created a great team spirit within the Costa Rica squad, evident in their impressive qualifying campaign. The star player: Real Madrid’s Keylor Navas was outstanding in the last World Cup and will need to be on top form once again. A skillful, free-flowing side, Serbia scored 20 goals in their qualifying group. Despite this, coach Slavoljub Muslin was sacked after a falling out with the Serbian FA. New coach Mladen Krstajic will bring a team high on confidence to the finals, after recent impressive friendly performances. The boss: It will be a difficult job for Mladen Krstajic, who takes control on a temporary basis. Only having a few months to get to know his players is far from ideal. However, Serbia have a very talented squad and if they have a good tournament the job will be his. The star player: Lazio’s young star Milinkovic-Savic has the ability to make things happen and this could be the tournament to make a name for himself. The 2014 winners will be confident they can retain the trophy, after 10 wins out of 10 in qualifying. Skill, pace, determination, organization and nerves of steel make Germany one of the favorites once again and, with a squad full of world-class talent in every position, the Germans will be extremely hard to derail once they gather momentum in the latter stages of the tournament. The boss: Long-serving coach Joachim Low has the experience of winning a World Cup and has the winning mentality to lead the Germans to victory once again. The star player: Real Madrid’s Toni Kroos is the heartbeat of the German side. His intelligence, passing and energy will be key for the World Cup holders. The Mexicans have qualified for the last six World Cups, losing in the round of 16 each time. They reached the World Cup in style this time, although criticism remains over whether they can compete against the big teams. Reaching the quarter-finals this year would be a success, although they’ve only managed this twice – once in 1970 and again in 1986, when they were the host nation. The boss: Coach Juan Carlos Osorio favors a detail oriented approach and will make sure his team are prepared for the tournament. These plans can sometimes go wrong however, as the Mexican manager is prone to the odd temperamental outburst. The star player: Former Man United and current West Ham striker Javier ‘Chicharito’ Hernández is a lively ‘fox in the box’ and is Mexico’s biggest goal threat. A team without their talisman Zlatan Ibrahimovic and lacking in star power might be a blessing in disguise. This modern day Swedish team are a well-drilled, energetic, balanced team with the potential to go far in this tournament. However, the absence of a cutting-edge means that advancing further than the round of 16 could prove unlikely. The star player: Emil Forsburg is a classy, creative attacking midfielder who carries Sweden’s best hope of unlocking defenses. A good performance in the World Cup will attract the attention of Europe’s finest clubs. Lacking the attacking prowess of previous teams, this South Korea side will be hoping that team spirit and a host of Premier League-experienced players can help the team match the sensational feat of 2002, when they reached the semi-finals. The boss: Tactically naïve and lacking experience at a high level, South Korea coach Shin Tae-yong is, however, a master motivator and will hope that he can instill belief in his team when the pressure is on. The star player: Tottenham’s Son Heung-min brings class to the South Korea attack and has the experience of playing at the top level. A team full of world-class players should mean that Belgium are one of the favorites to lift the trophy. However, a lack of cohesion has meant that this ‘golden generation’ of Belgium’s has so far failed to deliver. Another World Cup full of such promise awaits this fantastically talented squad. Will this finally be the year that Belgium make their mark on the big stage? The boss: Former Everton manger Roberto Martinez has the task of bringing together a team of individuals. His side qualified for the World Cup in style, but questions remain over his tactical acumen. The star player: Kevin De Bruyne has outstripped Eden Hazard as Belgium’s key attacking force, after playing a massive part in Man City’s record-breaking Premier League season. For once, England go into a major tournament with no expectations. Humiliations in recent years mean that this young team can go into this World Cup free from the burden of repeating the triumph of 1966. And with this pressure lifted, perhaps England can cause a few surprises. The boss: Gareth Southgate has been in the England setup for years and knows his players very well. With a focus on picking in-form players in a balanced system, he has molded an England side based on team spirit, organization and hard work. The star player: A lethal finisher with a talent for being in the right place at the right time, Tottenham’s Harry Kane has become one of the world’s best strikers. This World Cup is his chance to shine and if England are to go far, Kane will need to be at his deadly best. Returning to the World Cup after a 12-year absence, Tunisia come into the tournament on the back of an undefeated qualifying campaign. A balanced, hard-working team, their lack of firepower and defensive fragility when playing top opposition will make it difficult for them to progress any further than the group stage. The boss: Nabil Maâloul plays a fluid system, with two defensive midfielders counter-balancing attacking full backs marauding wingers. The star player: Gifted attacker Youssef Msakni often carries the team and will be Tunisia’s spark. A first ever appearance at the World Cup means a guaranteed party in Panama, regardless of how the team performs. They will approach each game with caution, defending in numbers, looking to catch their opponents on the counter-attack. Expect to see a disciplined, exuberant side playing with smiles on their faces. The boss: Hernán Darío Gómez has previously led Colombia and Ecuador to the World Cup in 1998 and 2002 respectively. The star player: Gabriel Gomez is the midfield linchpin who makes this Panama side tick. Returning to the World Cup after a 12-year absence, Poland will be confident following an impressive qualifying campaign. The Poles won 8 games out of 10 on the road to Russia, mainly thanks to their talismanic striker Robert Lewandowski, who struck a record-breaking 16 goals. Questions remain over their defense, however, and it will be a big challenge for them to go any further than the last 16. The boss: Coach Adam Nawalka has focused more on possession football, rather than the counter-attacking style of previous Poland teams. The star player: Poland have previously relied too heavily on record goal scorer and captain Robert Lewandowski. They now have a more well-rounded team, but his influence is still crucial. This is Senegal’s second World Cup since their stunning 2002 performance, during which they beat France to reach the quarter-finals. With a team that is defensively strong, powerful in midfield and with blistering pace in attack, they will certainly be one to watch during this World Cup. The boss: Aliou Cissé was the captain marvel during Senegal’s memorable World Cup 2002 campaign. He returns as manager, looking for a repeat of the heroics from 16 years ago. 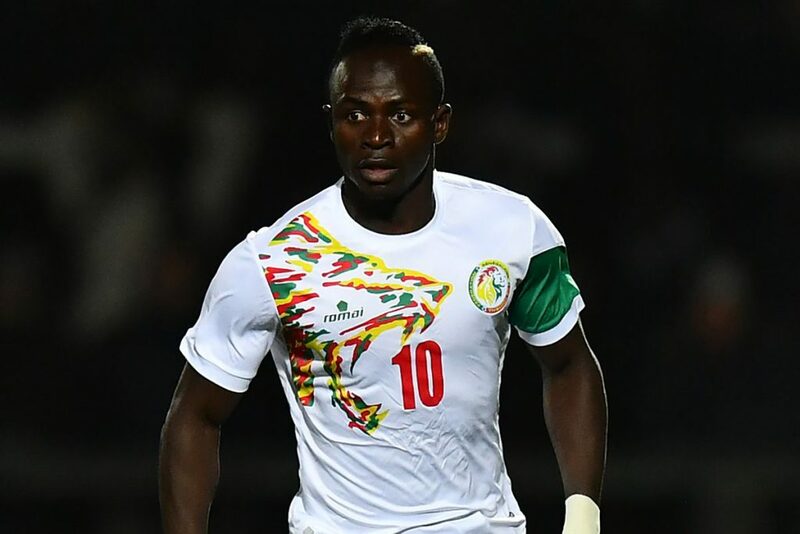 The star player: Liverpool’s flying winger Sadio Mané is one of the fastest footballers on the planet and will look to be the spark that lights up Senegal’s tournament. The Colombians reached the quarter-finals of the last World Cup, but this tournament may prove to be more difficult. A lack of defensive pace and the fact that their star players haven’t played regular football this season means a repeat performance of 2014 is unlikely. However, they possess world-class players who, on their day, can unlock even the best defense. The boss: An experienced manager who took Argentina to the World Cup in 2006, José Pékerman gets the best out of his team when they set up defensively and play on the counter-attack. The star player: James Rodriguez, on-loan at Bayern Munich from Real Madrid, lit up the 2014 tournament with a spectacular goal and impressive all-round performance. Colombia will be hoping a lack of match practice doesn’t hinder his tournament this time around. Lacking the star names of previous Japan sides, this team focuses on togetherness and work-ethic. A good level of experience in the squad should mean that Japan will cope with the pressure of playing at the highest level and a favorable draw means getting beyond the group stage is a real possibility. The boss: Manager Vahid Halilhodžić has ignited debate in Japan by radically overhauling their style, replacing the traditional Japanese passing method with a defensive, counting-attacking approach. If it pays off, he will be a hero. If not, his critics will call for his dismissal. The star player: Southampton’s Maya Yoshida was perhaps the most improved player for the Premier League side this season and his strength, positional-sense and pace will be vital for Japan in this World Cup. Interested in studying sports management at a top European business school? Look no further than EU Business School, who offer MBA and bachelor’s programs.